Behinds its classic appearance is hidden an outsdanding personnality. 33 rooms of character where designs, figures, colours and subjects are skilfully orchestrated and re-occur at the same times neo-classicism and bohemian spirit. 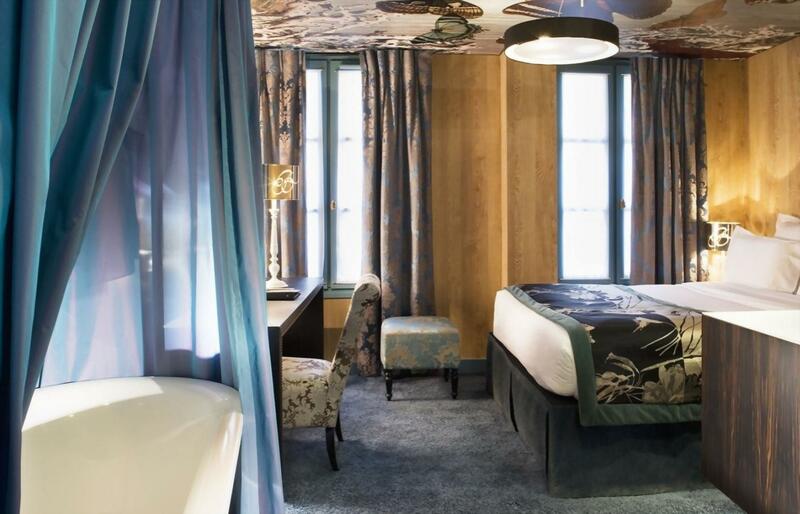 A custom-made hotel, in surroundings already very "couture" right in the middle of Faubourg Saint Germain district, whose aristocratic elegance inspired Proust, with a wealth of famous antique dealers and the Orsay Museum, facing the Louvre, with the Ministries, the Chambers of Deputies, The Frech Foreign Office ( Quai d'Orsai), and the embassies. It represents arts - from literature to painting including design, music, theatre, cinema - with its modern and comtaporary art galleries, its exhibition halls, its bookshops and so many places typical of the pleasurable Parisian way of life: cafés, shops, restaurants where tradition meets with the modernist. 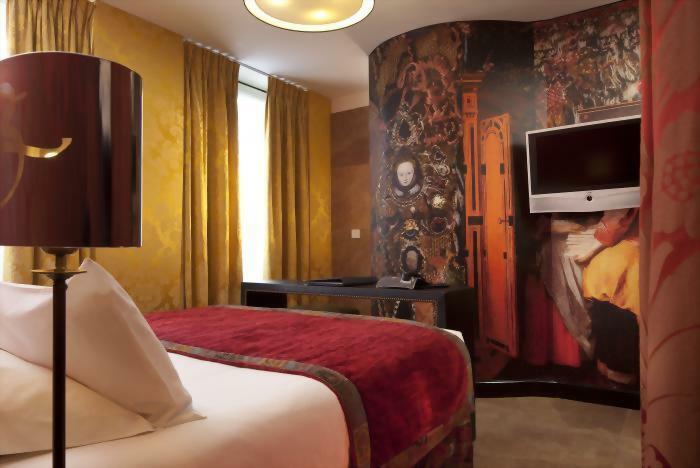 The Hôtel Le Bellechasse sits on a peaceful little street located just steps from the Musée d’Orsay on the select left bank of the Seine River and few meters away from the National Assembly. 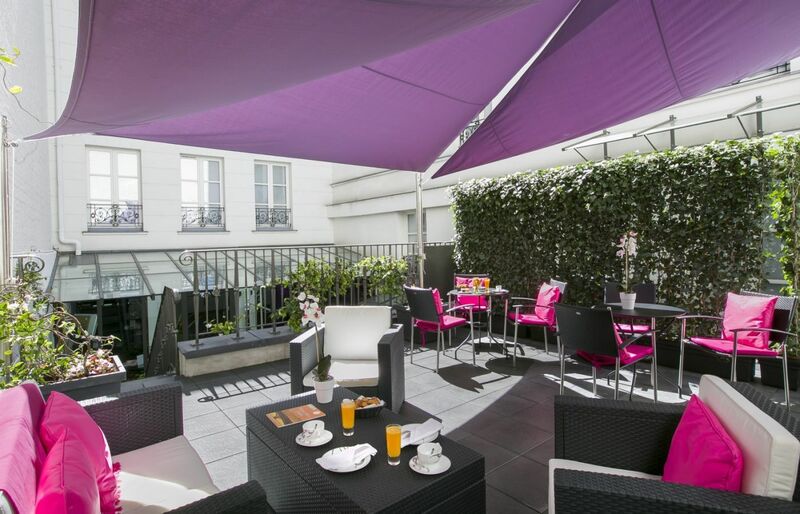 This quiet residential area which boasts famous monuments, numerous art galleries, fine restaurants and lively bars is the perfect base for visitors wishing to explore Paris on foot. Nearby attractions include the Tuileries Gardens, Saint-Germain des Prés, the Louvre Museum, the Invalides or the romantic Seine embankment. 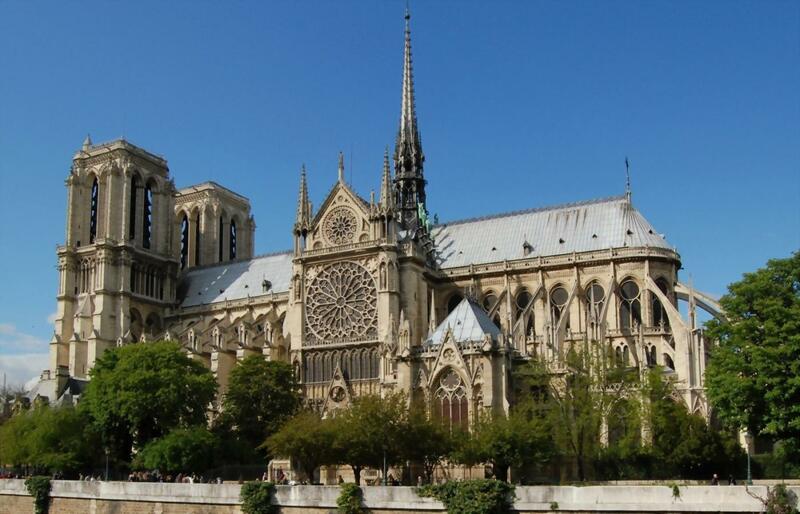 For other prestigious sites such as Notre-Dame Cathedral, the ancient Ile de la Cité, the Champs-Elysées and many more, guests will find several Metro stations near the hotel. 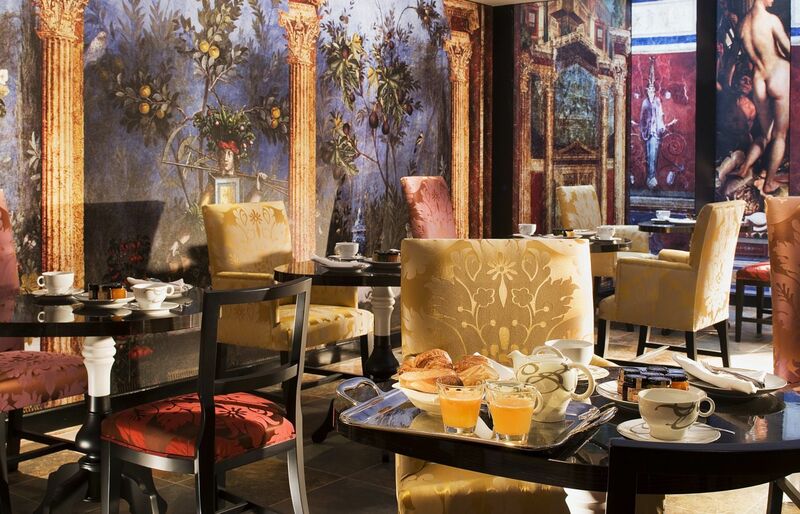 Start your day in style with our delicious buffet breakfast served in our lavishly-decorated breakfast room designed by Christian Lacroix. You can also enjoy breakfast in bed with our friendly room service and if you are short on time, a fast breakfast service is available in the bar. Want to relax or to share a moment with family or friends? 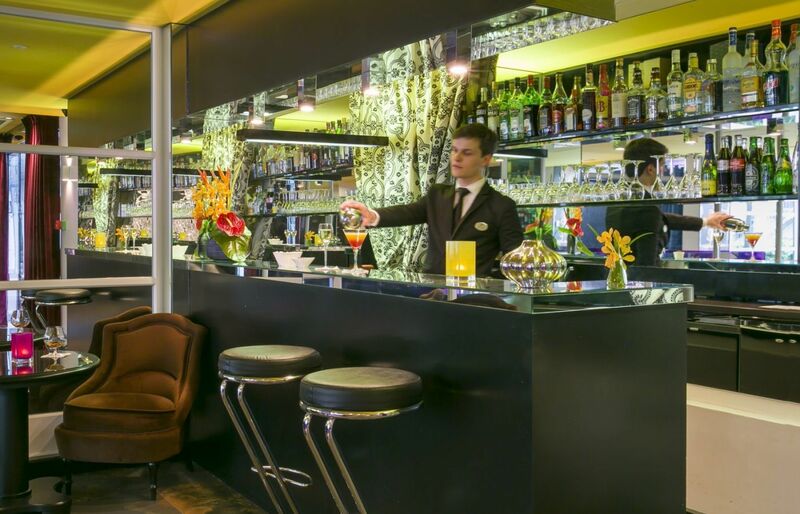 The lounge atmosphere and quality service make our bar a great place for your evenings.In an elegant and warm, our barman will be pleased to offer you a wide selection of drinks and will prepare his best cocktails. 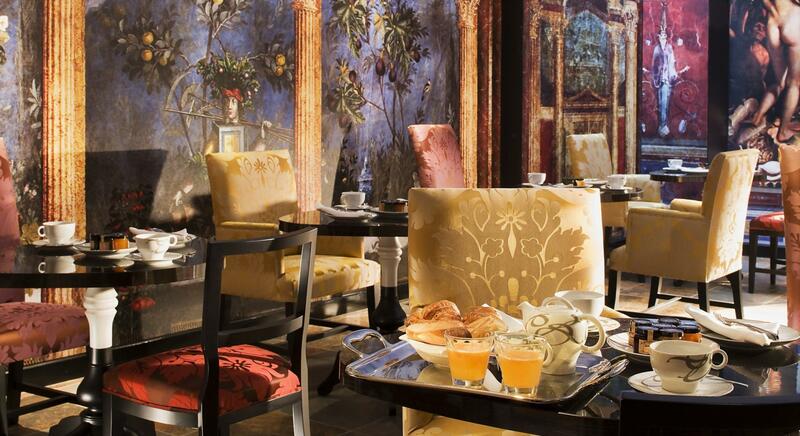 Guests can also enjoy delicious Afternoon Break, between 3 pm and 5 pm, consisting of a pastry and a hot drink. Enjoy our Happy Hour from 6pm to 8pm, and get 50% off the whole beverage menu. Enjoy the quiet of our terrace to relax from a long day getaway in our beautiful capital with a drink. A Smartphone is available for FREE, which will guide you throughout your walks. 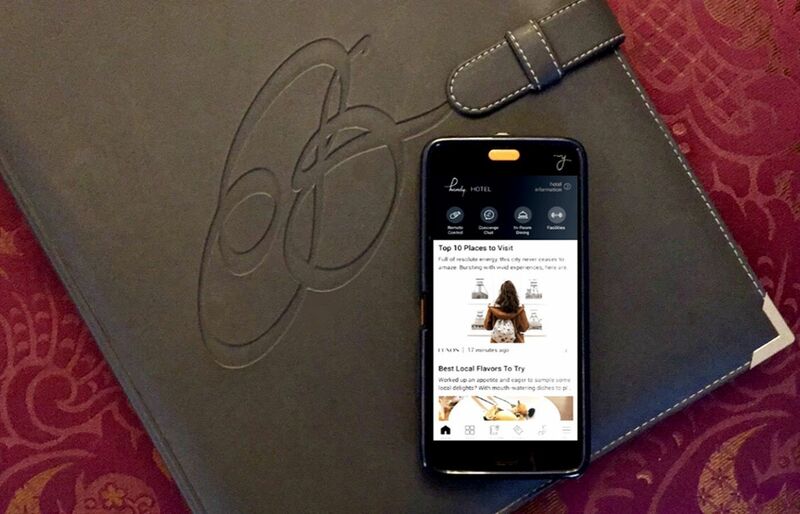 It will allow you to stay connected 24 hours a day with the hotel and the world. Keep in touch internationally through 4G and the FREE Internet network throughout Paris, with FREE and UNLIMITED calls to France, Europe and the United States. To guarantee your security, your personal data is always erased at the end of your stay.